Hi! 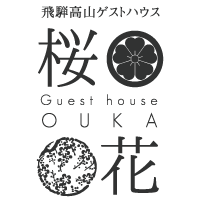 We are Guest House OUKA in Takayama, Gifu prefecture. you can enjoy traditional Japan as well as beautiful nature. Let us help you find the best way to get here from major cities in Japan! Takayama is in the center of Japan. You need to use train or bus(or by car if you can drive) to get here. Here are the major ways to get to Takayama from city areas. First, take Kyoto line at Osaka station and get to Shin-Osaka station. Then take Nozomi express train (Shinkansen) to Nagoya. Change train to Hida wide view express. Take Hida wide view express train at Osaka station. that goes directly to Takayama.